(August 2005) Rhode Island is definitely a unique place. Its people are quirky and individualistic. They are naturally friendly, yet still maintain a reserve that has become known as a recognizable “New England” trait. Rhode Islanders love to be entertained and no sport is more fascinating to them than politics. It is a true spectator sport for the locals; and for a state known for centuries as “Rogue’s Island,” what could be more apt. Scalawags and scoundrels make up the fabric of Rhode Island’s history and in the tradition of Huey Long, corruption and chicanery are understood by most here as a natural part of doing business. No question: “Buddy” Cianci is an original. Ever the showman, he was every mother’s darling and a tempermental pressure cooker who could blow unexpectedly over a political concern or slight. As the trial went down and the sentence pronounced, people were divided over just who he really was: a self-sacrificing man of the people or self-serving egotist? Fall guy or mob ally? As the longest-serving mayor in Providence, Rhode Island's history, “Buddy” Cianci remains one of the country's most controversial political figures. Cianci's unflagging popularity and extraordinary career comebacks have baffled political analysts and frustrated federal investigators. Brilliant and aggressive, charming and ruthless, Cianci is described by supporters and critics alike as a political survivor. No one really expected the charges to stick and no one expected that he would face jail time. On July 17th, 2002, his conviction was upheld and in December of that year, Cianci went to Ft. Dix, NJ to serve a five-year sentence on RICO charges for racketeering conspiracy; essentially for running a criminal enterprise out of Providence City Hall. Providence under his aegis was a “city for sale,” according to the charges. Yet, three years after his departure, the romance with “Buddy” has not waned and many of his supporters feel that he was unfairly targeted by the US Attorney. Providence-based director Cherry Arnold has created a complex portrait of this often contradictory and always audacious public figure who became the youngest man and the first Italian-American to become mayor of Providence. He was a Republican who unseated a Democrat stronghold of more than thirty years. From his early promise as an attorney prosecuting organized crime to his apparent success overseeing what he termed as Providence's "renaissance," the film tracks Cianci's entanglements with city council opposition, union skirmishes, personal scandals, and criminal indictments. The result is a fascinating study of American local politics and a surprising tale of a man who, in the words of one commentator, "has a city as a mistress." I recently caught up with Ms Arnold to discuss her latest work and how it came about. She will be having the world premiere in August at the Rhode Island International Film Festival and is now busily trying to insure its completion. GTM: What was your motivation to take on this project? Cherry Arnold: Buddy Cianci lived three houses away from us when I was a kid growing up on the east side. I met Cianci once before I went away to school in 9th grade. Over the years I returned to Providence for only short family visits, but whenever I would come home it seemed that people were always talking about the latest trials and tribulations of Buddy Cianci, he seemed like an ever-present character in people’s lives in Providence. As I got older I was fascinated by how the farther away I got from RI, the more mythologized Buddy and his story became. Once I told people I was from Providence, they would ask me about what it was like to live in a “mob-run town”, and what was that “mob mayor” like who beat up someone with a fireplace log and then got re-elected. But what interested me most in doing the film was all the passion that surrounds Buddy Cianci and his story. Buddy Cianci’s passion for Providence, and the extreme and very passionate feelings that people have for Buddy, that always seemed to fall at opposite ends of the spectrum. GTM: When you first began pulling this together, how did you secure the support of the former Mayor? Cherry Arnold: I pitched Cianci on the idea of doing the film in January of 2002. Included in my request to him was permission to follow him and film him in his everyday activities. It took some convincing but he finally agreed to give me access to him and then later to his archives. GTM: Obviously, the story took a different turn as you began shooting. How did you feel about that and how did that impact on your script development? I’m not sure what you mean here, but I followed Buddy before, during and after his trial, up until a few days before he left for prison. After the first few months, I realized that with Buddy Cianci, anything could happen and that I better be prepared as possible at all times. I didn’t start on the script until the 150 source tapes had been logged and transcribed, approximately 6 months after Cianci went to prison. GTM: What was it like working so closely with Mayor Cianci? He was very generous in his allowing me to be around him so much. Because I was shooting verite footage, most of the time he wouldn’t acknowledge my presence, which was good for me as it allowed me to sink into the background and capture some really good moments. GTM: Given the charges and subsequent conviction of the Mayor, was it difficult to remain dispassionate about the subject of your film? Cherry Arnold: No, it wasn’t. 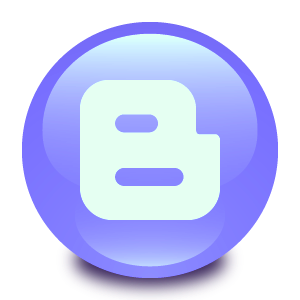 GTM: How long have you been working on "Buddy" and what significant changes occurred when you began editing all the footage together? Has this process taken longer than you expected. Cherry Arnold: I started pre-production on the film in December of 2001. The process has taken longer than I expected for many reasons, chief among them the difficulty of raising funds for the project. 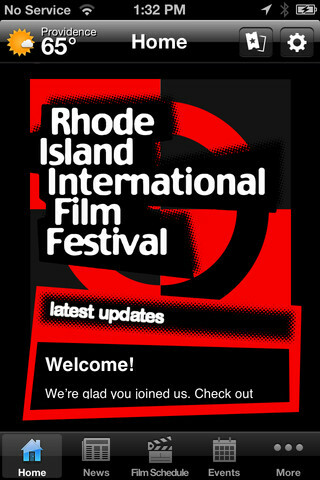 GTM: You did a preview screening in Boston at the Independent Film Festival. What did you learn from the audience reaction and feedback and what changes have been made to the film since that time? 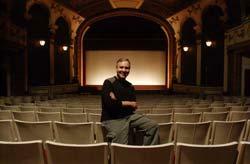 Cherry Arnold: The Boston screenings were fantastically helpful. The main thing we learned was that we needed to add more room at many points of the film because of the audience’s extreme reaction. GTM: What are your goals with the film? What would you like to accomplish with it? Cherry Arnold: I see “Buddy” as a provocative character-driven film about local politics that I hope will spark lots of lively discourse wherever it is shown. My goal is to get out there and seen as far and wide as possible. After a film festival run, I will be seeking theatrical and TV distribution. GTM: Tell us a bit about yourself and how you got involved in filmmaking: what is your background? Cherry Arnold: I started producing editorial and commercial photography after graduating from college. After moving to NYC I began working in TV commercials as well. I had directed and produced a few short narrative films of my own and I had worked as a producer a couple of NYC-based documentaries, so when the opportunity to do Buddy’s story presented itself, I jumped on the opportunity. GTM: This was a long experience for you. What did you personally learn about the process and how has that impacted on you both professionally and personally? Cherry Arnold: This was a real barn raising; so many people helped with the making of this film - from all the Brown University interns that worked with me, to every local TV, radio station and newspaper donating media to the project, to my team of advisors who looked at cuts of the film and gave me feedback, to the funders who awarded me grants. On the whole, it’s been an incredibly rewarding process where I’ve had the pleasure of working with many gifted and generous people. GTM: What words of advice would you give a young filmmaker about tackling such a project? Cherry Arnold: If you’re going to take on an producing an independent film, you have to be 150% passionate about your subject, because that is what will help you get others on board and help you get you through the good times and bad. Never give up. 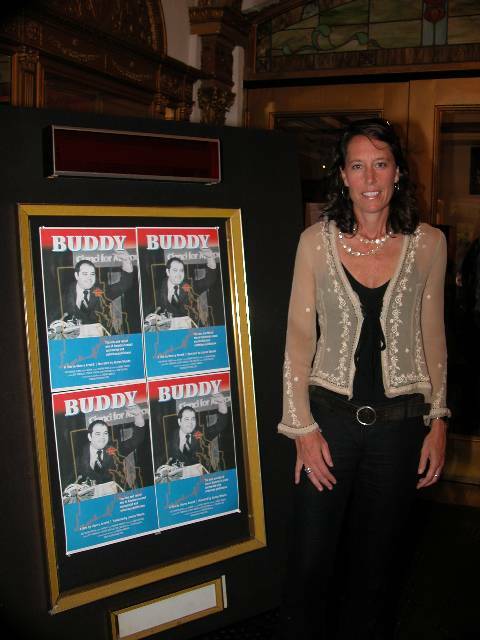 For more information about “Buddy” and Cherry Arnold, check out the film’s website at www.buddycianci.com.